Barnes & Noble in Burbank, CA is hosting me for a signing of my graphic novel Empire of the Wolf on Saturday, April 8, at 2pm. 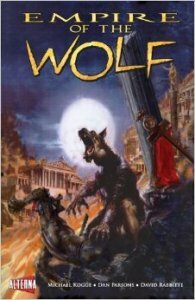 I’ll talk about writing comics, my love for ancient Rome, and how this werewolf myth all began. So please, come by, grab a signed book, and say hi on Saturday!